Exclusive Interview with Frank Jansen, Product Manager, Bosch Packaging Technology At this year’s ProSweets trade show, Makat Candy Technology, part of Bosch Packaging Technology, unveiled its starchless depositing method for the production of pure gelatin gummies in silicone molds. Nigeria Packaging talked to Frank Jansen about this new production method. 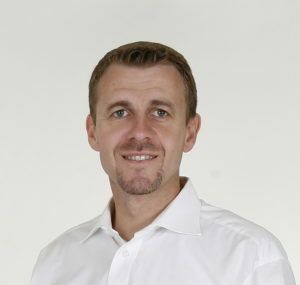 Frank Jansen has been the Product Manager for Confectionery processing as well as filling and capping equipment at Bosch Packaging Technology in Viersen, Germany, since January 2011. He holds a master’s degree in mechanical engineering. FJ: We have identified growth opportunities for various product groups. According to research conducted by Allied Market Research, the global market for nutraceuticals will reach 302 Billion Dollars by 2022 – with an annual growth rate of seven percent. [i] A strong and attractive market – especially for the confectionery industry! Almost 14 percent of all vitamins and nutraceutical supplements are processed into candy nowadays. [ii] Furthermore, Transparency Market Research predicts that the global market for vitamin gummies alone will grow by five percent annually over the next eight years and exceed 4 billion dollars in 2025. [iii] Interestingly, in 2015 over-the-counter products (OTC products), such as cough sweets, accounted for 63 percent of pharmaceutical sales in India, 55 percent in China, and approximately eleven percent in the USA. [iv] And that’s a rising trend! Which new manufacturing processes address these trends? FJ: Starchless depositing for gelatin products is one of the hottest topics in the industry right now, along with “Candy 2 Gum” (deposited chewing gum)! Starchless depositing has been a standard procedure for hard candy for many years. From now on, with the help of silicone molds, even pure gelatin gummies can be deposited without starch. This manufacturing process is particularly interesting for manufacturers of nutraceutical or OTC products. So, what is starchless depositing? FJ: With starchless depositing, jelly products can now be deposited using silicone molds instead of the conventional starch depositing process, which required trays, starch and stamps. FJ: Conventional starch depositing required manufacturers to use mogul plants. To facilitate starchless depositing of gelatin gummies, we enhanced our Silicone Rubber Mold (SRM) plant. As a first step, the silicone molds are moistened using a release agent. Then the jelly mass is deposited into the molds. Next, the filled molds enter into the SRM’s integrated cooling tower. At no point throughout the process do the molds need to be taken out of the plant. The products can be demolded after a cooling time of 20 minutes only. The empty molds are returned to the depositing station and are filled once again. This is the first big advantage: the molds stay in the plant and no longer need to leave the production cycle for cooling. 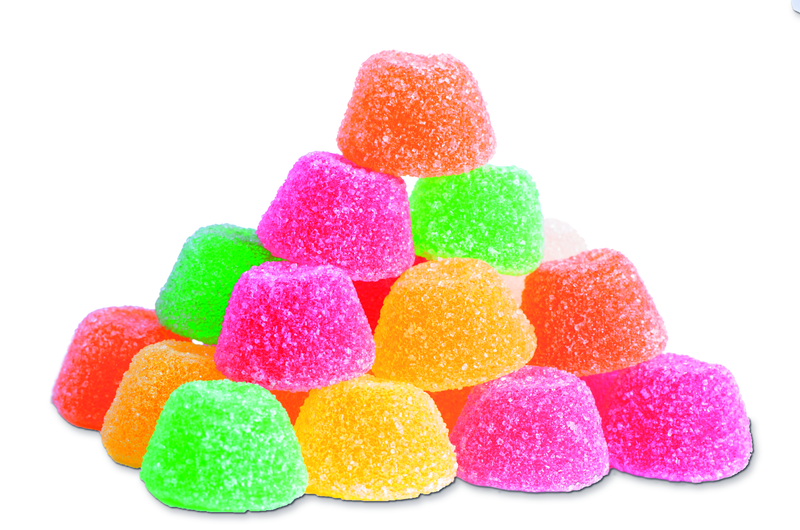 FJ: Our main advantage at Bosch is that we can use commercial gelatin for the jelly mass production. We optimized the depositing head design for this application and are now able to deposit jelly masses with a high dry matter content. Manufacturers can now use commercial, high-bloom gelatin in production, without tailing. The jelly mass hardens within 20 minutes in the plant itself. Consequently, the products no longer have to be stored in a drying room, which is a huge advantage for manufacturers. Why is this such a big advantage? FJ: Conventional jelly production requires the filled starch trays to rest for 24 to 72 hours in a drying room. During this time, starch withdraws water from the products, which solidifies them. This gives the final product a dry matter content of 84 and 86 percent. With starchless depositing, we can deposit a jelly mass that has this dry matter end content from the beginning. This is also why our jellies only take 20 minutes to cool and be demolded. The drying room can be eliminated from the production site entirely, which reduces energy costs and minimizes production time. This also means that we need less floor space in the production facility. This has highly positive impacts on Overall Equipment Effectiveness (OEE). And does the elimination of starch contribute by cutting costs? FJ: Absolutely! We replace tens of thousands of starch trays with a few hundred, reusable silicone molds. With filling speeds of up to 30 molds per minute, combined with a cycle duration of 20 minutes, approximately 600 silicone molds are needed in production. The new production method does away with powder treatment, so we also help cut back on energy and personnel expenses. With conventional production, manufacturers have to dehumidify and reprocess hundreds of tons of starch. But this is no longer necessary. Equipment costs are lower and there is no need for drying rooms. The high speed of the Bosch machinery, which can fill up to 30 molds per minute, is yet another advantage. By the way: format changes only take one hour, saving additional time and costs. Who is the starchless depositing meant for? FJ: In general, it was designed for manufacturers of high-quality products with defined shapes in high quantities. As the silicone forms determine the product shape, form variety is limited. Silicone molds are not suitable for delicate product contours, because the jellies could get damaged when being pressed out of the mold. 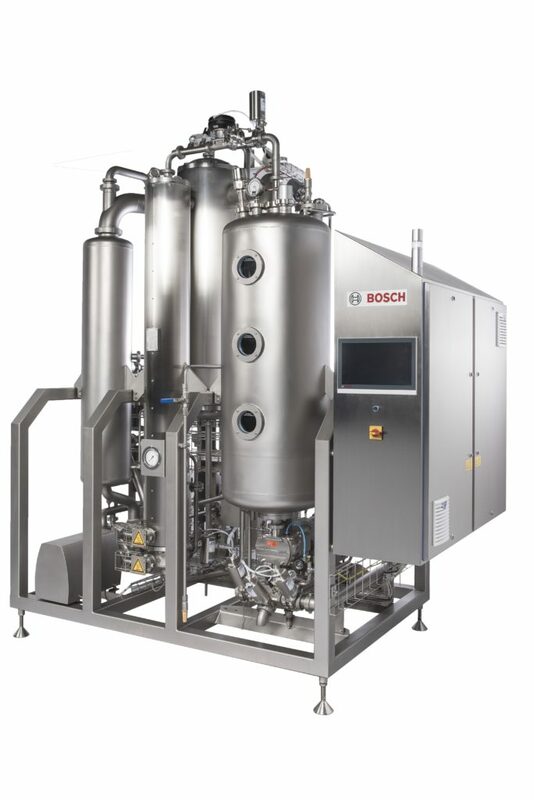 However, starchless depositing is an ideal manufacturing method for all other products: from standard sweets and vitamin-enriched jellies to semi-pharmaceutical products. What about the rest of the process? How can Bosch provide additional support for manufacturers? FJ: Besides the manufacturing method itself, we offer our clients tailor-made single-source solutions, comprehensive advisory services and customer care. Our broad portfolio ranges from the kitchen – which was adapted for this process, casting machinery and primary packaging to the cartoner. Customers can even test and refine recipes in our in-house laboratory. Finally: What does the future bring? FJ: We feel that starchless depositing will quickly establish itself on the market because of its numerous benefits, such as reducing production times to 20 minutes, and reduced energy and machine costs by eliminating the starch treatment and drying room. However, the biggest advantage for manufacturers is that we can deposit using commercial gelatin. At ProSweets we received very good feedback from visitors. Established manufacturers and new players on the market were eager to learn more about this innovative production method.